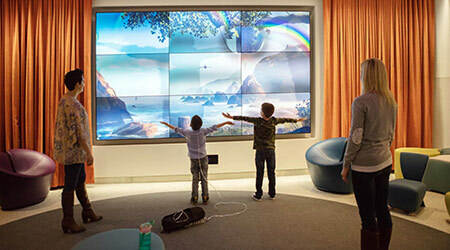 California's Lucile Packard Children’s Hospital Stanford was designed to create a nurturing and healing environment, according to an article on The New York Post website. The new state-of-the-art, 521,000-square-foot facility uses nature — and normalcy — to make kids feel more comfortable. Young patients can read and play with the interactive wall in the Story Corner, explore the different animal themes on each floor and climb through the child-size gopher burrow in the Dunlevie garden. Even small details were designed with patients and their families in mind. For instance, unobtrusive shutters let clinicians check on patients without waking or disturbing them. Bathtubs in acute-care rooms help normalize a young patient’s experience. Plus, the in-room smart televisions preview the names and titles of staff as they enter the room.